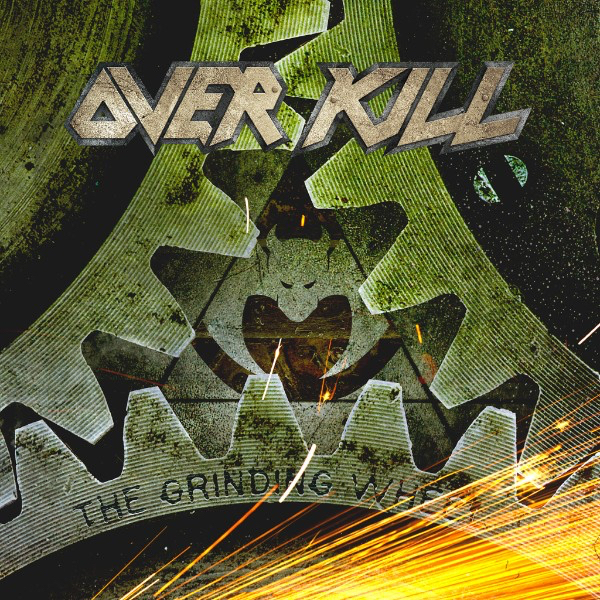 Antihero Magazine’s Anya Svirskaya talks to Bobby “Blitz” Ellsworth, frontman of legendary thrash metal juggernaut Overkill, about the band’s upcoming eighteenth full-length release, The Grinding Wheel, due out on February 10, 2017 via Nuclear Blast Records. I was looking over the track listing and album cover for The Grinding Wheel. I was taken with the album cover. Whenever I get a new record, I have to look at the track list and album cover first, that usually tells me what to expect. The first thing that came to my mind was longevity. That after all these years you’re still going strong, and not afraid to try new things but keeping true. Was that one of the inspirations? Well, I think so. But to some degree were happening to reflect each other. So, in my opinion it’s for sure been a slow and sure machine over three decades and though it has dents in it, it doesn’t seem to slow down or stop. So, slow and sure and pushing through, I suppose … or grinding through, you might say. As far as the lyrical content, is there a concept behind the songs? I confess my sins once every year and a half. I think it’s probably a good place to throw it out in the table. There’s no necessary concept here but I do think I sing particularly about the things I know. And one of those is or the things I know the most about is probably the band. And the principles whether that being something obvious like commitment or whether that be something about the that’s hidden in there like unity, for instance. But the, there is no concept specifically for it but for sure I talk about let’s say … use the metaphor for grind throughout the entire record. I read previously, about how you approach lyrics. You mentioned that you collect post-its and stick them to your wall over time when you’re on writing mode. All those words and phrases you collected previously like from the previous record, did you bring them over to when you were writing this record? For sure, it’s about having that kind of flash card inspiration. If I put it up there, eventually my eyes are going to go to it. I’m talking to you from the room that I did the demoing in for myself and the writing, for my part of the record and I remove all those post-its. But the ideas that I’m so covered with that and your walking around the room with a pen in your mouth and tapping on your teeth and trying to say where’s the next place to go. Eventually I look up and something might just say, for instance, Prague. Or it might say the last tour with Symphony X. Or it might say that football game. Or something like so. It becomes, I don’t know, let’s say just a, I’m getting flash card inspiration it takes my head somewhere else. So, it kind of works for me, a simple trick that I use to not get into the funk when it comes to writing. There’s a lot more diversity and experimentation on this record. Of course, it has that thrash sound but it has some classic metal elements. Was this intentional or did it just happen that way? There’s a lot of diversity on this record and I think over a thirty-year period. What is neglected, when it comes to thought about us is that there is diversity, it’s not two dimensional. It had groove, it had classic heavy metal. I mean we’re huge punk rock fans, rock-n-roll is could be the word of the day, twice a week. And all this kind of comes in and you add some epic feels are things into different places like the title track, “The Grinding Wheel,” or even the opening track “Mean, Green, Killing Machine.” I think you come up with things, the only you can actually say its thrash is because the energy that’s instill into it. So, we take out of this classic heavy metal, punk rock, mix it all up in a bag and it comes out as over kill. 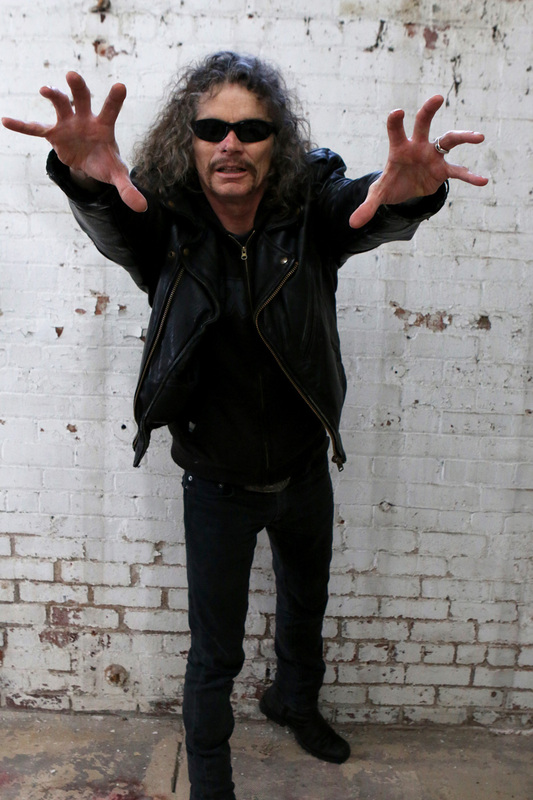 We add energy and it becomes a thrash record but I think for sure it multi-dimensional. It’s not something that’s, that can just be pigeon hole with a box and say its only thrash. And I also see that with your vocals. I was listening to “Mean, Green, Killing Machine” earlier and I just noticed, yes you have that raw, strong raspy voice. But then, I love the fact that you bring your melodic vocals on to it. That’s simple. The only way to do this for the amount of time that I and D.D. Verni have done it, and the others guys to a large degree to that matter, is to really push yourself. You know what you consider yourself the teacher, you known for what you done in the past. Your known for what you were. I think if you push yourself and still try to learn this many years on. You become the student and the students has new things to prove. And I think that’s where it becomes inspirational, each one of us is doing something to that effect in their own contribution to the record. And myself with the singing, then there’s no fear to put a harmony in. Then there’s no fear to get melodic. Then there’s no, you know, it’s not about what people say. It’s about where can I go with this thing and make it more interesting to myself. And now you’re actually holding on to something that your prouder of, which is probably my biggest sin anyway. That your prouder of it because you took a chance. So, sure it’s about showing veracity even with regard to musicians themselves. And as far as the touring, to me, you guys are always on tour. I am looking at your tour dates on the website and you have quite a busy schedule. How do you guys do it, after so many years? Well, we send look-a-like (laughing). It’s simple, we sit at home and watch football. (Laughing) I think we’re cut for it obviously, you know I not going to give you some sob story about how hard the road is. But I’ll give you my personal take on it. I was cut from wanting to go places and walk on different sidewalks and meet people. One of the reasons I’d survive with a smile on my face in this business is because I like meeting people. And I like difference, whether it come down to different food, different countries. But the idea for the great equalizer or levelizer or the drug high I chase is that stage. So, kind of a pay love at the end of the day. Cause it has no sorrow in it. From where I stand. Cause it’s, it’s kind of a, when a guy or a person or woman finds what they enjoy doing the most it. So, when this opportunity, or these opportunities come along. I think being the opportunist, we’re all over them. As long as they workout and the configuration is correct, you rock the finance, you rock timing, we usually jump on it. It’s probably something we’ll remember, for thirty years we spent half of our lives away from home. But it’s for a good personal result. I always felt that Overkill is a band that never compromised its art, so to speak. Stayed true to who you are as musicians and your roots. That’s a good point. But I don’t really think were artists. I think that’s the key here. You know it may come out at the end day as art but I think were the smartest people who are crafting something. Whether it be the carpenter or the furniture maker or whether it be the painter or the court painter or the portrait painter. If it comes better in time, I’m sure it can be considered art. But I think from the inside, if we consider it a craft that were trying to get better at. And say hey, first and foremost rule one don’t have an identity crisis. We know who we are, what we are, and what would we do best. Then its, kinda, all the bullshits that could surround the, what becomes restrictive to some degree with art. Kind of melts away and you just kind of want to become better. Your more comfortable with your tools on then your tools off. And if that’s the case, then we have a good opportunity to kind of push that envelope. Let’s say as craftsman. We could still be relevant in a modern day. By taking the experience we have through history into the present day. Going back to the new record, was the writing process different this time around compared to the last album? (laughs) I go way back. So, my first recordings were two inch tapes. So, from that its always changed. But one of the things that we recognize early on is the industry changed and the process of recording changed is that we had to erase it. And at the same time retain what we learned in the early days and that’s getting in the room and sweating together when a demo happened. Somebody walks in with a pizza and a six pack. That’s important for us. To be grounded that way. But we do embrace the new technology because I think if you don’t, you get left behind. It’s about a constant reinvention, internally, to understand recording. And we’ve always produced our records or always had a part in that. So were kind of up on it. We got two guys in the band with studios. We get together and then we separate. We start trading ideas me or the next, there shooting around in space with everyone else ideas and information. But we get back to together again at the end. So, it’s kind of a process that works for us. A combination of what was and what is. And what is, is a more necessary element and that’s embracing the new technology. Which of the songs on the album was the hardest to get right? I can only speak for myself not for the other guys. But I think from my standpoint of this album, it was the title track. We start with D.D. Verni with the riff, who continues just like this little riff machine walking around all the time with something that he can record on whether it be his phone or some other recorder. When he presented me “The Grinding Wheel,” it was a series of parts and they were, to me, they separate onto each other. And they weren’t really a song. And it was hard for me to understand it. When I started my part of the writing it was somewhere around June 16th and we mix in August. And the mix went all the way to September. I was dropping in parts of that song up until the last day of mix. I keep writing to an engineer I know whose local and it worked great with. And I want to change this, I got to have background or I got to do this. And then eventually, I think really the amount of time that I had with that song, April to September, it finally came together. And it was just, seem like it was the last day that brought it together for me. So, it was hard for me to understand but when that series of ripes became were in conjunction with each other. Where they flow, where they actually took on more entity. From four or five different parts. That’s when I knew it hit. And that was literally the last day I think it was September 2nd. Was the last mix and I drop vocals into it on the first. Was this part of the reason why the album was delayed? No, no it wasn’t it. It was just miscommunication and I’ll take part of the blame for it because or we will. But it was just miscommunication between us and Nuclear Blast. And it was we had a third managing partner. Myself and D.D. Verni managed the band forever but we brought on a third. And the agreement was done for a delivery date that we were totally unaware of that had been changed. The idea was ‘do we now hurry the record or do we stay with our principles of dignity and make the record great?’ So, we decided to mix it an extra two weeks and deliver it on time. But it was just miscommunication. Do you have a favorite track at the moment? That’s always a tough question for me, because I love them all. If we didn’t love them all, we wouldn’t release them (laughs). Right now, “Come Heavy” must be my favorite, because of its diversity. You can hear our influences, but the beauty of the track is that there’s no chorus in it. No need for one, and I thought that was super cool. The vocal hooks are the verses, I think for us, to be able to put together a song like that, without a chorus, is special. I don’t remember many bands that have done it before, but once you hear it, you understand why. 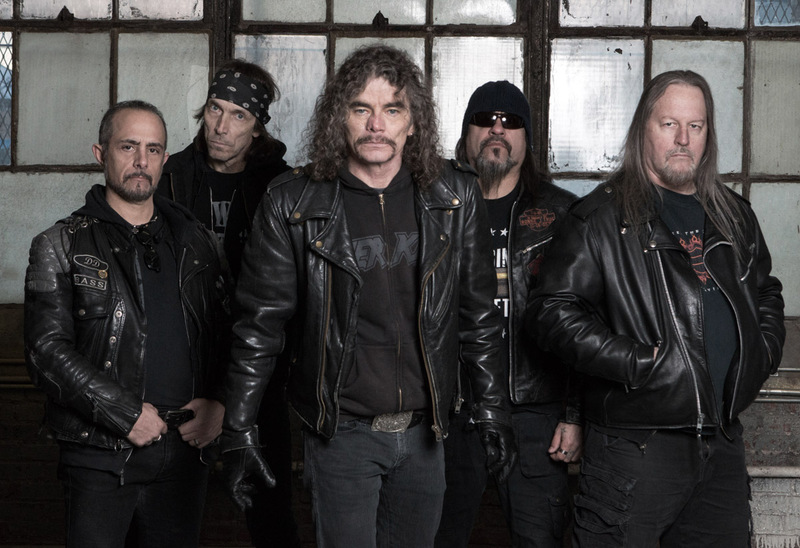 Overkill has performed all over the world, but there any parts of the world that you want to explore further? Yeah, I have bucket list. I haven’t seen all the Pacific Rim. I have never played China, would love too. Malaysia. Indonesia. Thailand. I like to go to Africa, especially South Africa. Would love to see Cape Town, have not been there. The other place that we keep pushing and it just keeps falling through is India. There seems to be great metal community there. I just gotten an interview with a guy out of Bangalore. He said “every time you guys announced it, it gets canned.” I said, “listen man, it’s not us (laughing). It’s not us canning it.” So, I would love to see India, that’s one of the places I think would be just fantastic. But everywhere else I just about seen. I like to see Iceland too. Iceland and India are on my list too. However, I am all the way in Brooklyn, so I’ll just be happy seeing you guys play somewhere close to home like Saint Vitus or one of the venues in the City. Our last one was Terminal 5. The next thing we’re going to do that’s anywhere local is Starland in Jersey. So, there’s no subway commute to get there. I was at the Terminal 5 show. Starland is doable, drive or take one of the New Jersey trains. Yeah, for sure. People in Brooklyn just don’t have cars, it’s not necessary, right? Yeah, there are subways, buses, car service, and things like Uber. My last question though. Will there ever be a Coverkill 2 or something along those lines down the road? Yeah, I think so because we always do covers. It used to be we do a cover because the Japanese always needed an extra track on it to get it a domestic release. That was the point because it was too expensive. The imports were coming out of eastern Europe into Japan. At a cheaper price then it would cost for them to manufacture domestic product. So, you would save this one or two tracks for them. And that’s kind of was the idea cover Kill that only the Japanese market had their hands on this stuff because of the expense. In any case, we did the Coverkill thing but we’ve been doing covers all along. We just did Thin Lizzy Emerald then a song by Iron Maiden called Sanctuary. We did another bonus track that we had written for The Grinding Wheel. It happens on the last records we did “Miss Misery” with Mark Tornillo from Accept came in and sang for me. But Nuclear Blast talked to us about doing another one and just say hey why don’t you get everything you done and then you record another ten. Then we have fifteen to twenty cover songs that inspired you guys or were inspiration to you were growing up. So yes, it’s been talked about. Thank you for taking the time to speak. Do you have any final words before we wrap this up? You know, like I said earlier in the interview, pride is my biggest sin. And one of my biggest pride is the fact that I know some great people (laughing) in a community that they’ve welcomed me for over three decades, which is, I suppose testimony to a life well lived. This is for sure a love and passion of mine. Much like it is for those who are hearing my voice. So, count me among your friends. I will count you also. Thank you, and all the best to you for the upcoming tour and albums. Okay, it was my pleasure.